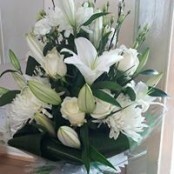 Flowers offer a great way to connect with loved ones at Christmas time. If you cannot be with friends and relatives this Christmas why not send a festive table decoration. Our candle arrangements this year are especially festive with holly and red berries. And placed in the middle of the dining table they provide the perfect finishing touch. At dolcevita we are delivering right up to Christmas Eve. 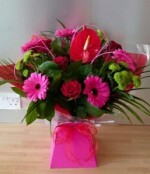 All our bouquets and arrangements are hand delivered thus ensuring every gift is received in perfect condition. thus ensuring every gift is received in perfect condition. What?s more with your special message this will make a for a great way to share the love this Christmas. 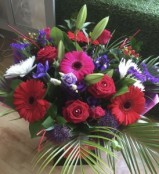 Christmas flower deliveries in Aberdeen, Aberdeenshire and surrounding areas.